J.B. Hunt 360, our intuitive transportation management system, is part of J.B. Hunt's ongoing commitment to providing improved workflows, tighter integration, mobile tools and constant innovation. 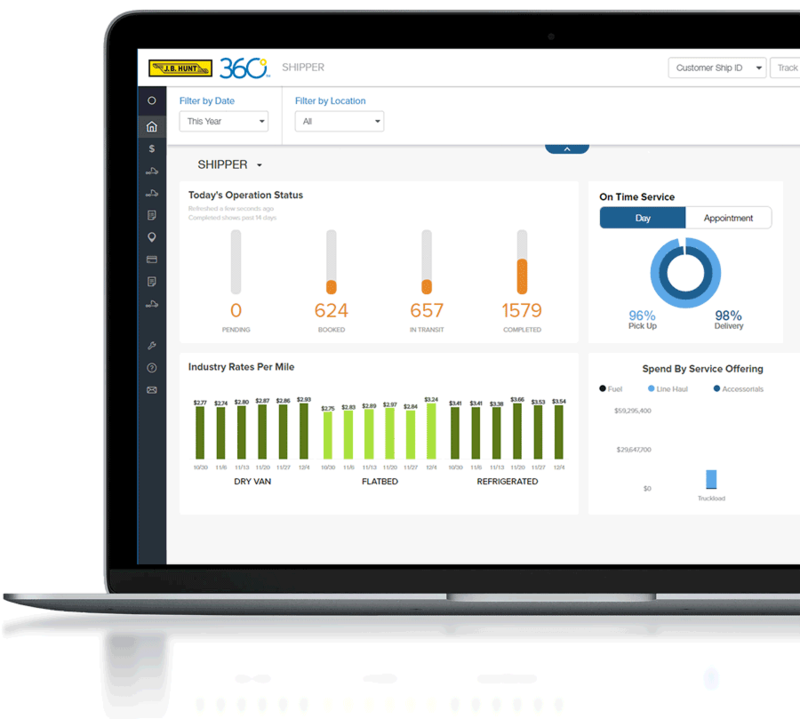 J.B. Hunt 360 provides an integrated set of tools for shippers and carriers, including an interactive dashboard to help you monitor your business in real time. You'll enjoy quick access to business critical information in an easy-to-use interface. Shippers can quote, book, and ship freight online. Carriers can find loads. The system also includes access to a wide range of reports and analytics into to help you analyze and improve your business.